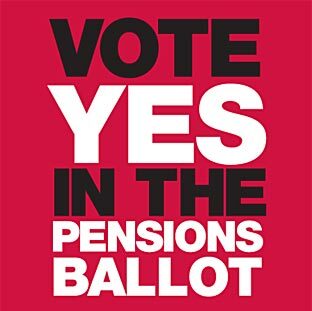 UNISON has exposed the false economy of Government Ministers’ plans to make damaging changes to the Local Government Pension Scheme (LGPS). Figures produced for the union show that by paying into their pensions, council workers save the government a total of £2.5 billion every year* in benefit claims. However, the proposed changes would lead to pensioner poverty for millions of workers, pushing them onto benefits such as pension credit, council tax benefit and housing benefit. The average pension received by all members of the LGPS is just £3,048* a year – but by saving for their pensions, members are less dependent on benefits in the future. The UK’s largest union is currently balloting 1.1 million members for strike action over the changes to public sector schemes. Dave Prentis, UNISON General Secretary, said: “These figures expose the false economy of making these unnecessary and damaging changes to the Local Government Pension Scheme. “If Government Ministers push ahead with their plans to make council workers pay more and work longer, for less, then many may be forced to opt out the scheme, pushing people onto costly benefits when they retire. “Two thirds of LGPS members are women, working as teaching assistants, carers, social workers, cleaners and dinner ladies. The average pension of these women is just £2,800 a year, yet they may be forced to opt out if Government Ministers push ahead with plans to make them pay more and work longer, for less. “The Local Government scheme is cash rich, with the income far exceeding the outgoings. All public sector schemes were assessed and renegotiated to be sustainable and affordable just three years ago and are very secure.